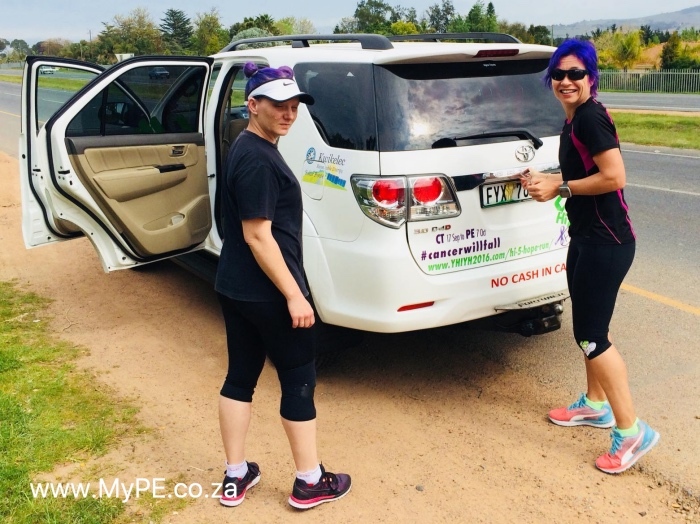 On Sunday 17 September Sharon Jessop and Belinda Davis began running 1204 km from Cape Town to Port Elizabeth over a 3-week period to raise awareness and funds for people suffering from cancer. They aim to average 57 kilometers per day and expect to arrive back in Port Elizabeth on Saturday 7 October 2017. The run is symbolic of the cancer patients’ daily battle with cancer whilst aiming to raise awareness with respect to alternative therapies, such as Virotherapy, when traditional treatments fail them.